HISTORY AT OLDFIELD IS DEEP. 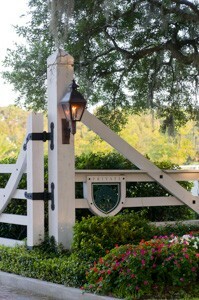 TAKE A STROLL THROUGH THE LIVE OAKS…BE A PART OF HISTORY. The recorded history of the tract began with a Lord Proprietor’s grant, (including a parcel of land referred to as “Old Field”), to Governor Robert Johnson in 1732. But well before that, the Indian village of “Oketty,” with an estimated population of 1,200 or more, lay nearby. By 1752, the property had been transferred to one Gabriel Manigault and eventually to Col. William Hazzard, a wealthy planter and officer in the colonial militia. Edward Wigg, a storekeeper on Port Royal Island (known today as Beaufort) married into the family and the property was subsequently known as “Wiggs Bluff’ for many years. Unfortunately, the plantation was completely destroyed by British troops in 1781. According to Wigg family tradition, the plantation was rebuilt, only to be shelled from the river by Union gunboats in November 1862. Ownership of the land was cloudy throughout reconstruction and well into the modern era in the possession of Pauline Pratt Webel. Ms. Webel also owned Goodhope Plantation near Ridgeland. In 1972, the property passed to Robin Carrier. Ms. Carrier had the existing home designed by Savannah Architect Carl Helfrich and built by contractor James Artley, also of Savannah. She raised horses, pigs, sheep, soybeans, corn, and tomatoes on the 927-acre tract. Weekends were spent entertaining with hunts for doves, ducks, deer, turkey, and wild boar. Carrier sold the property to a Hilton Head developer in 1985. The new owner used the plantation as a quarter horse farm and built the extensive system of fences (more than six miles in all) that endures as one of Oldfield’s most distinguishing features. In 1998 began the modern age of “Oldfield” as we know it now.